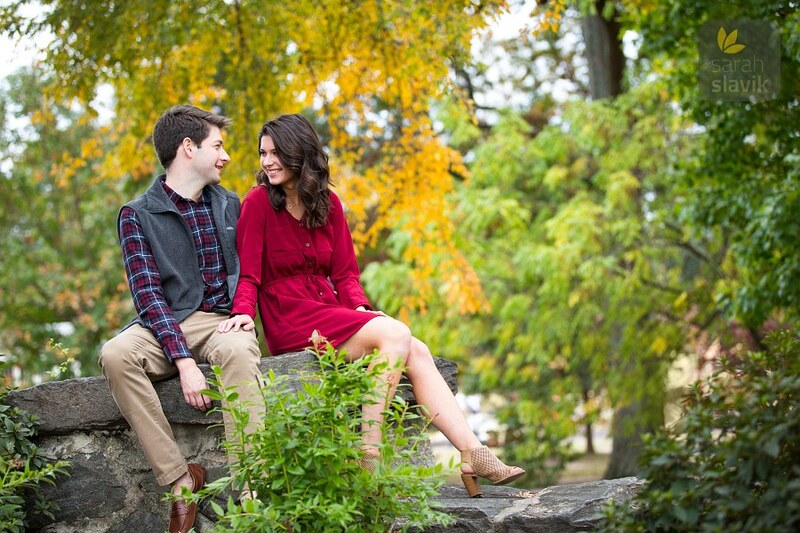 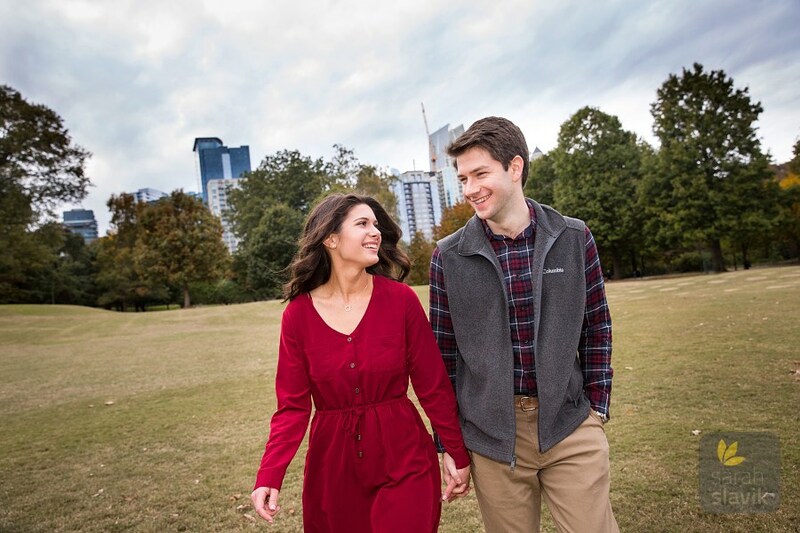 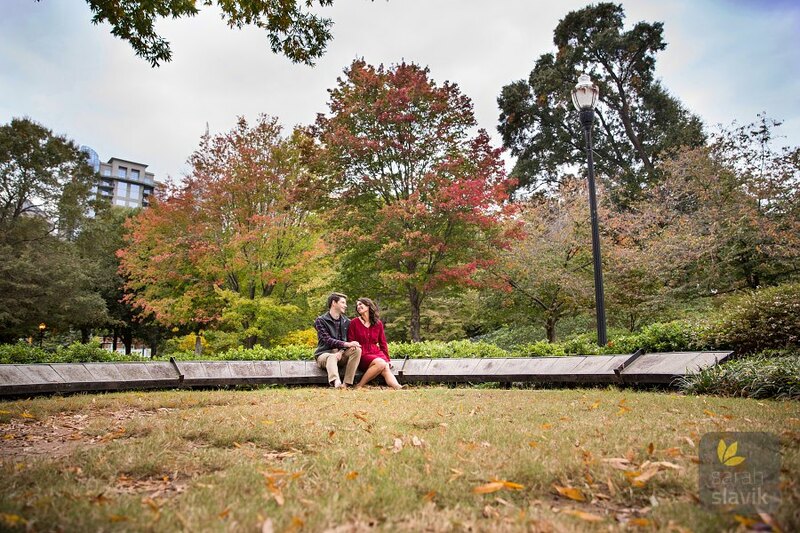 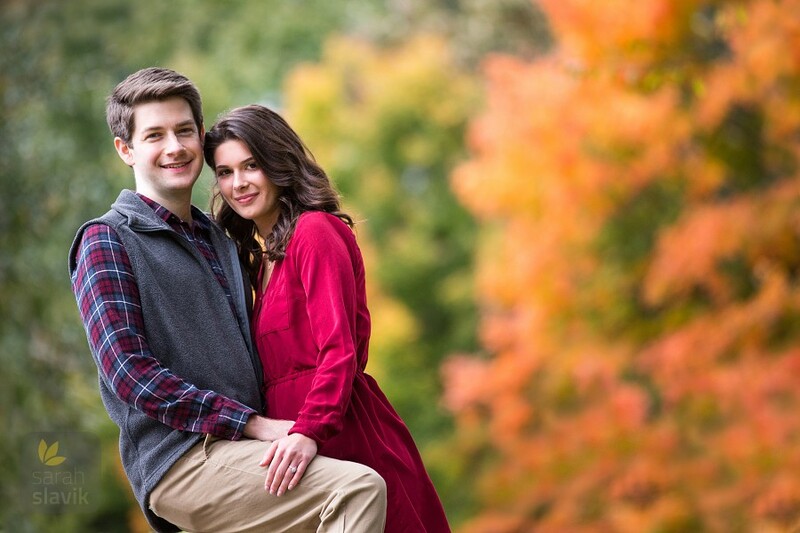 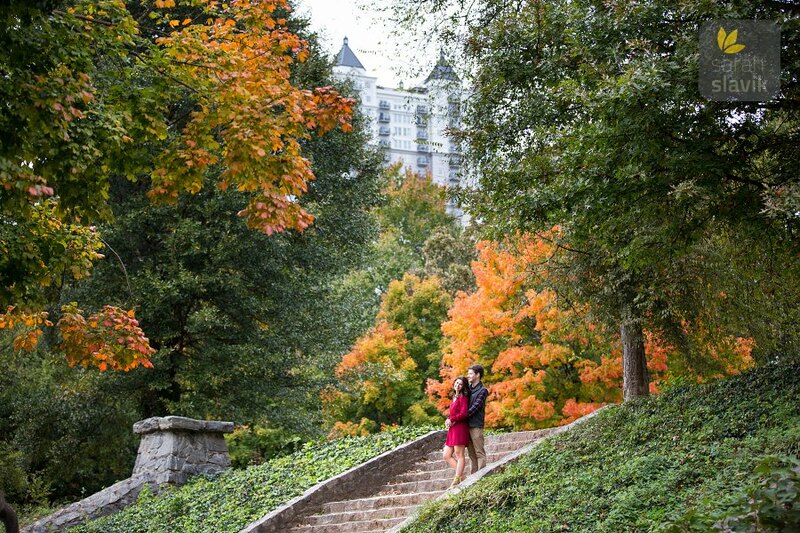 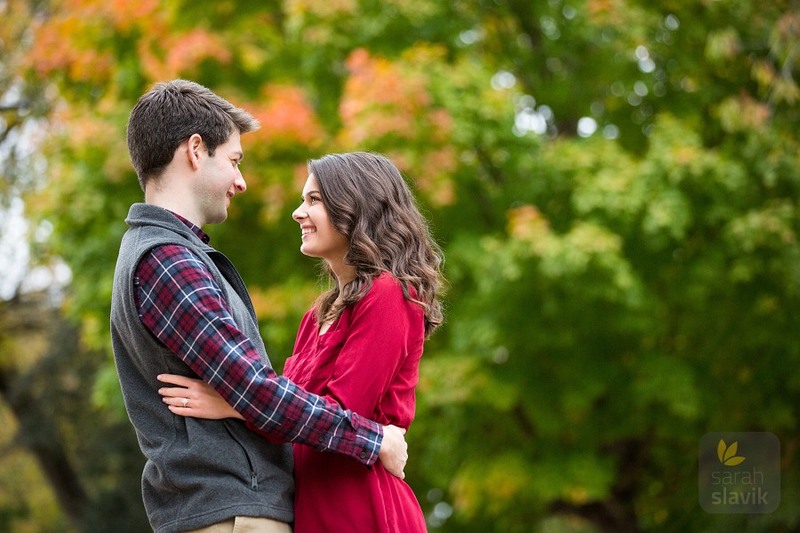 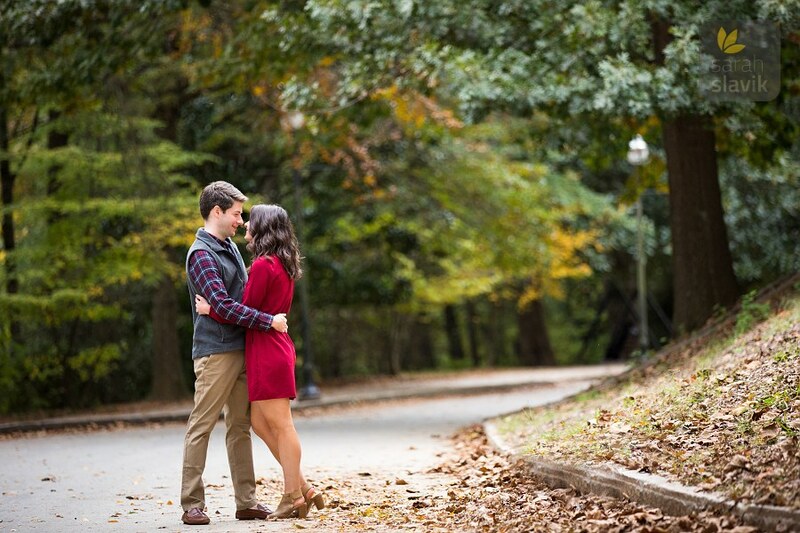 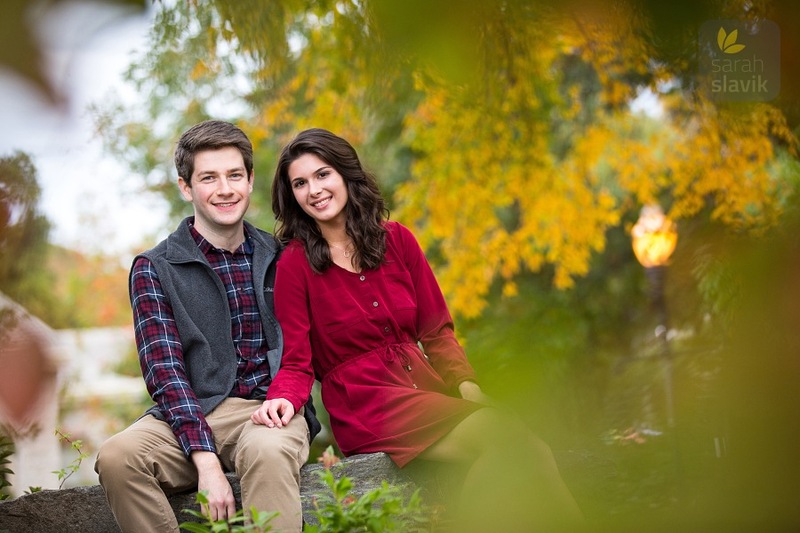 Ashley and Chris are getting married next April at the Harlech Farm in Rome, so since their wedding will take place in the spring, they really wanted to take their engagement portraits in the fall to have the beautiful colors as a contrast. 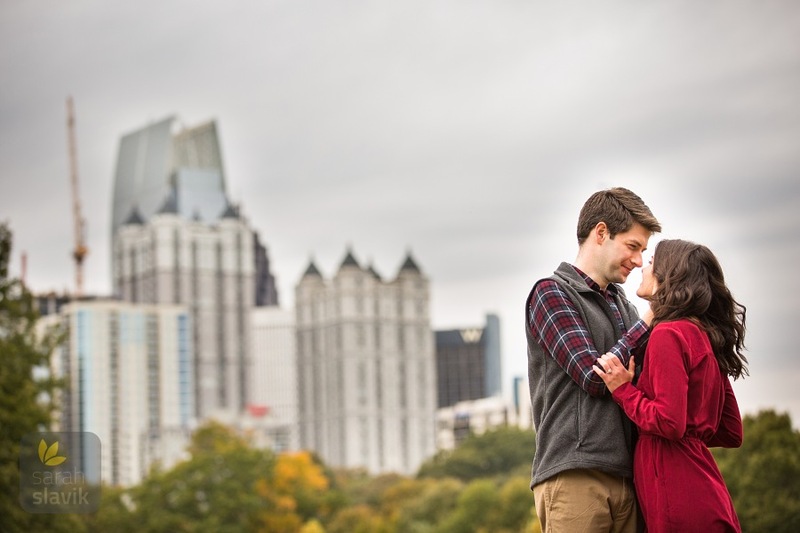 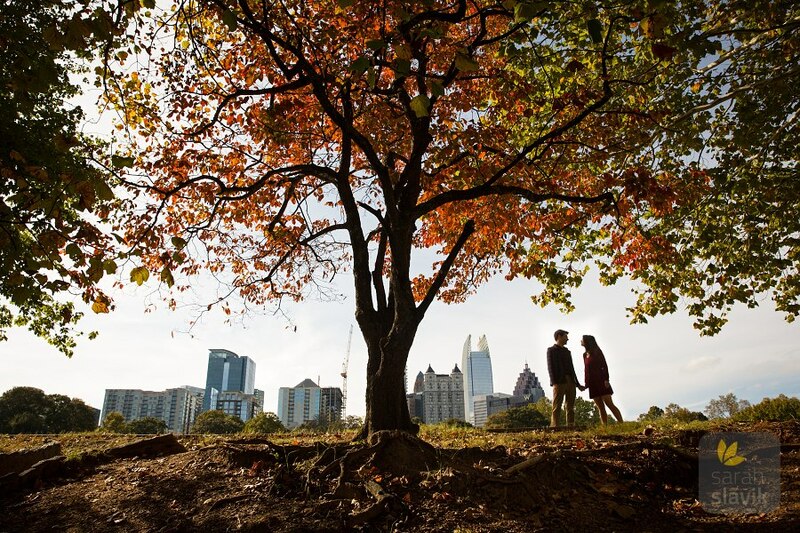 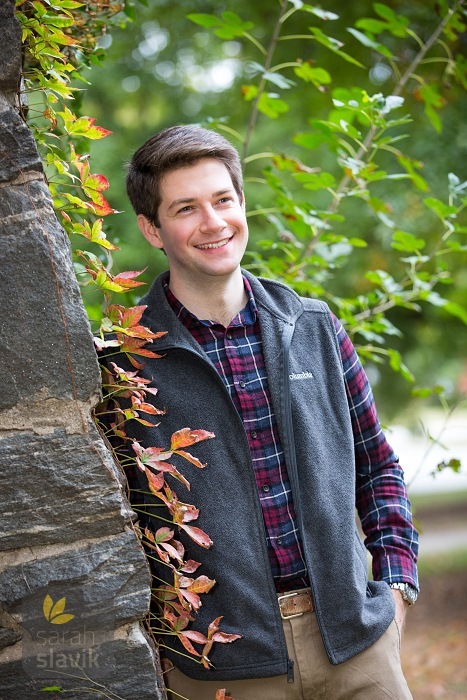 A couple hours prior to their session, I went to Piedmont Park in advance to scout for the trees with the best colors and also find some new spots I haven’t used before, as it was a cloudy day and I could take photos basically anywhere I wanted due to the lighting conditions. 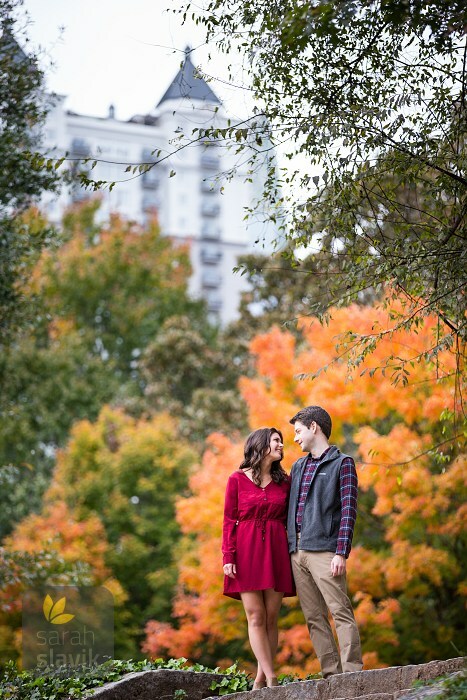 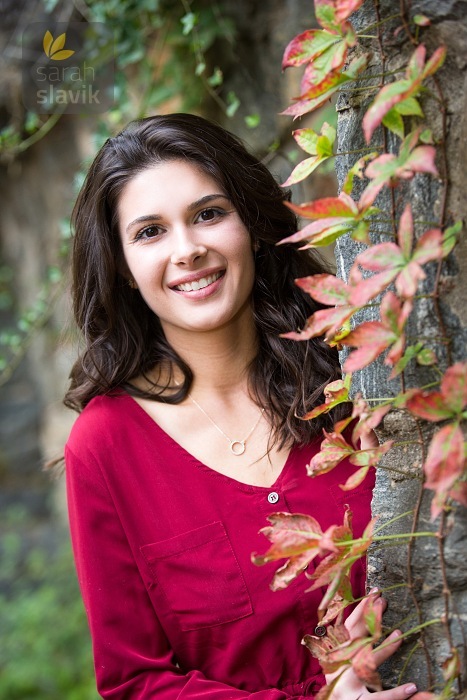 I am thrilled at how vibrant the colors turned out to be and loved Ashley’s bright red dress choice, which I think complemented the autumn leaves perfectly. 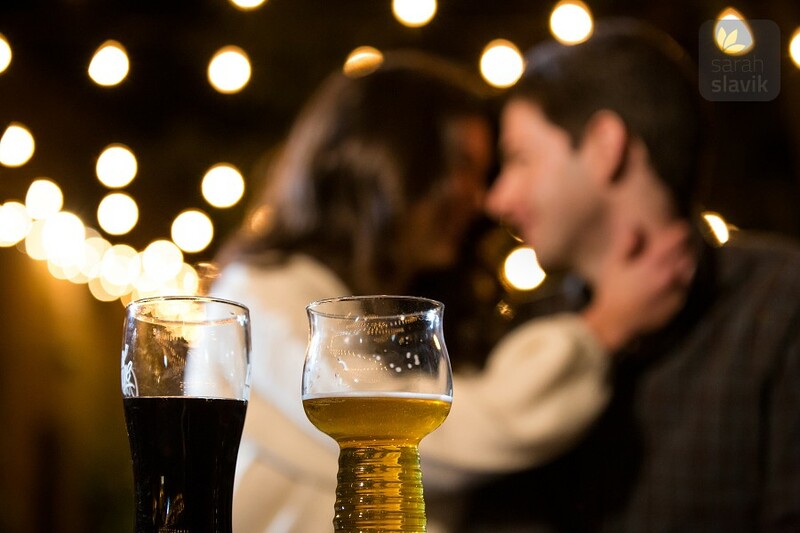 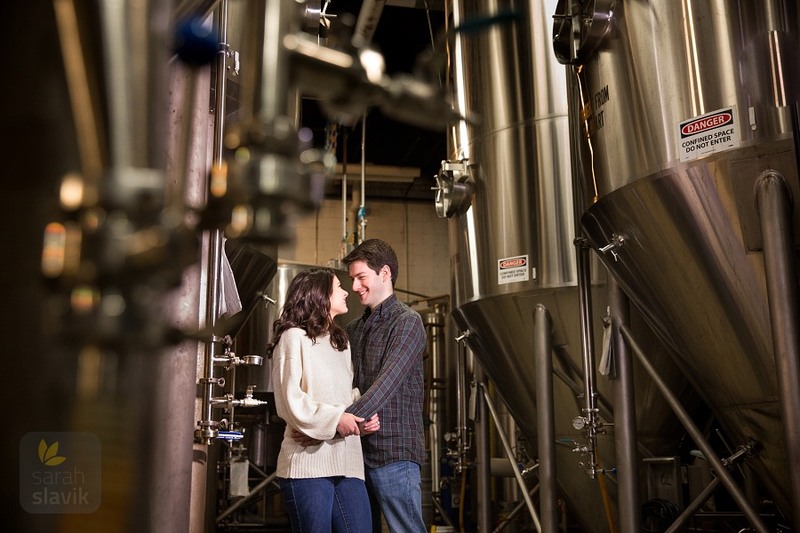 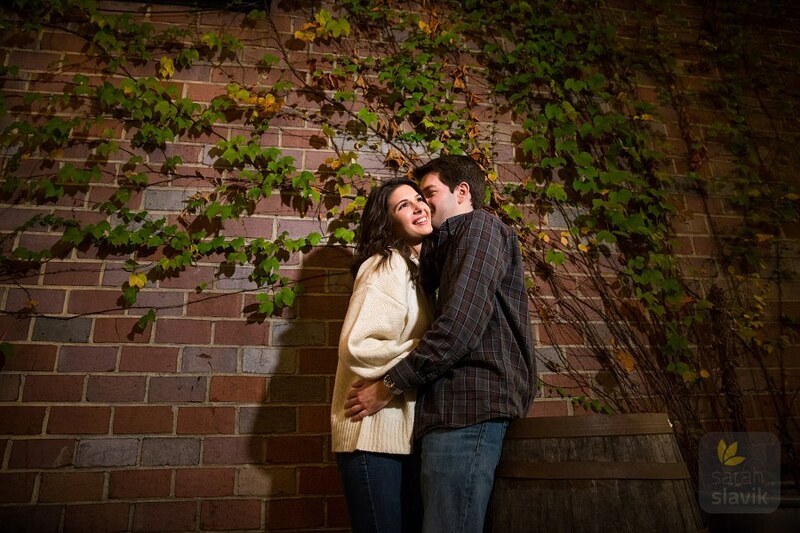 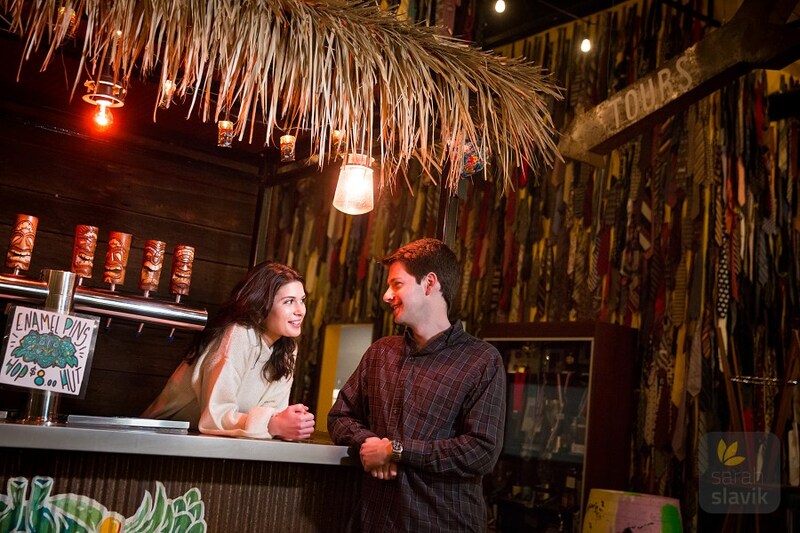 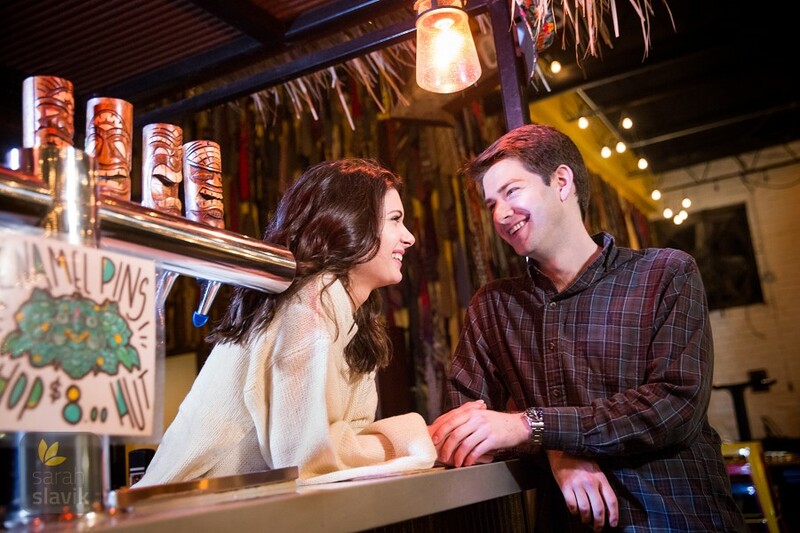 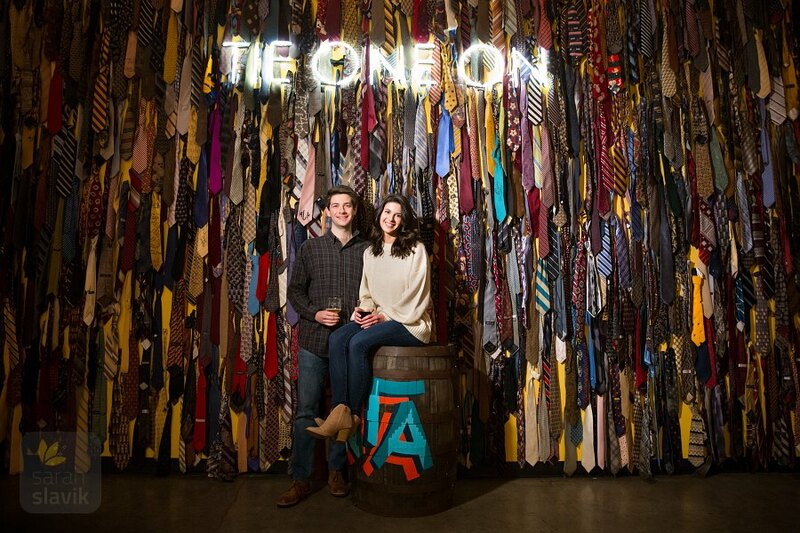 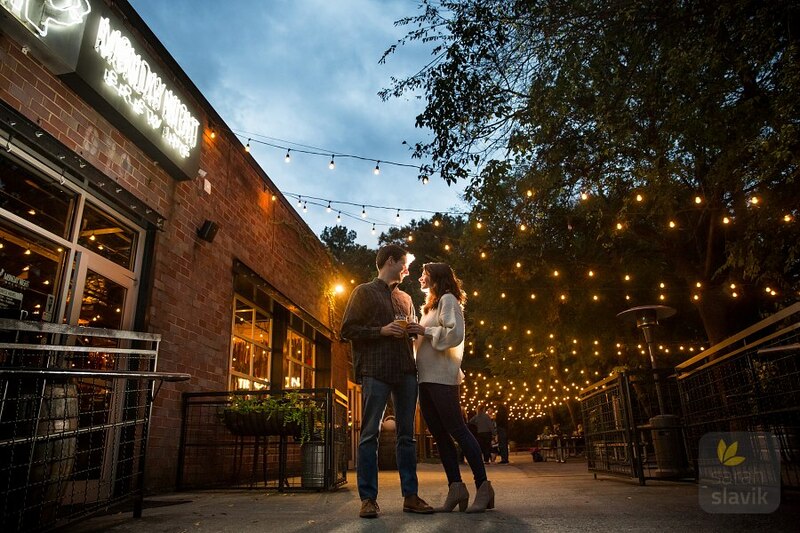 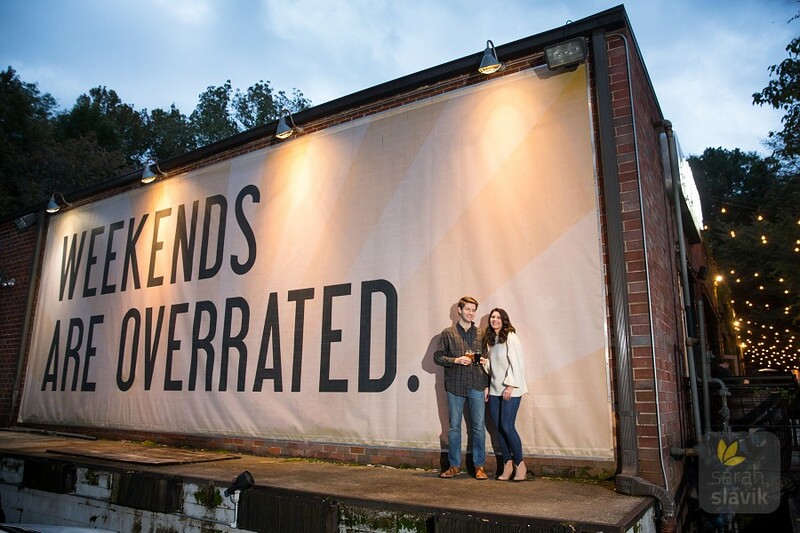 After meandering through the park, we moved to the Monday Night Brewing, one of the couple’s favorite hang-out spots in the city, to take some nighttime portraits. 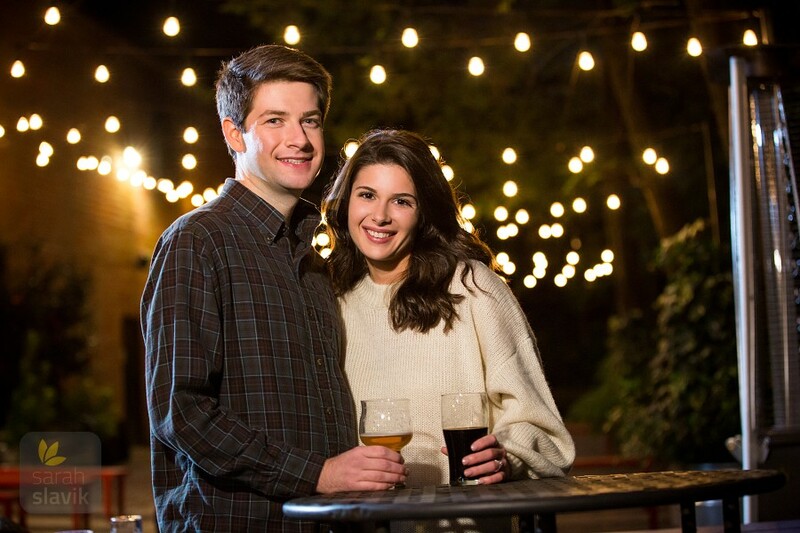 And, since Ashley does work for the brewery, we got to take some great shots with the string lights even after closing time. 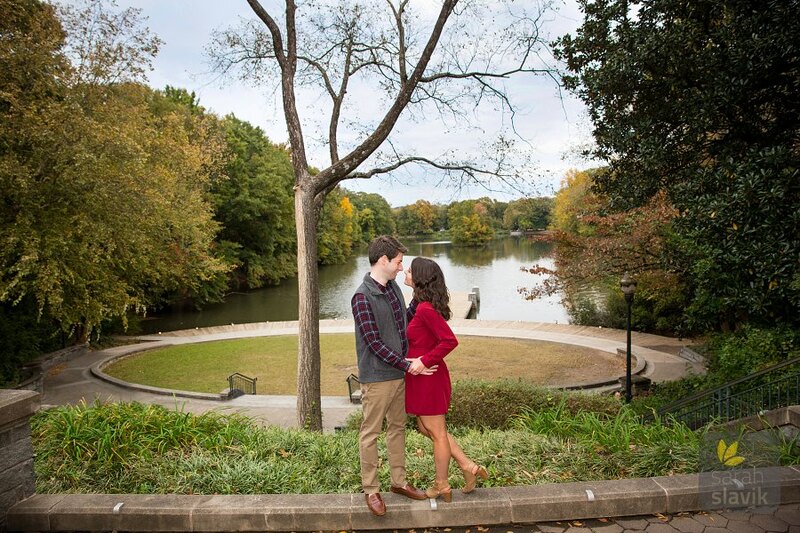 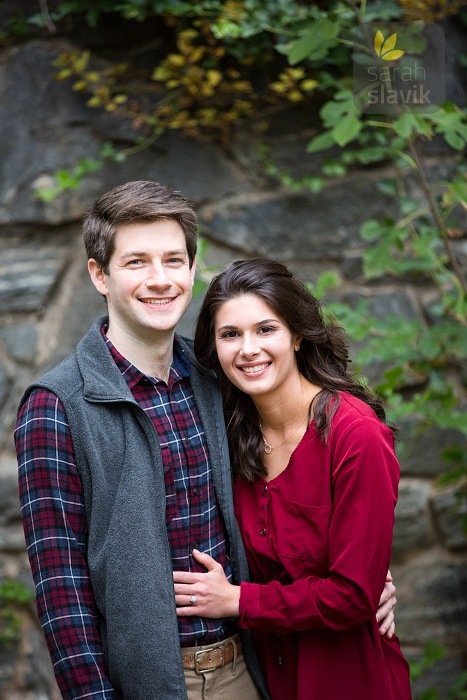 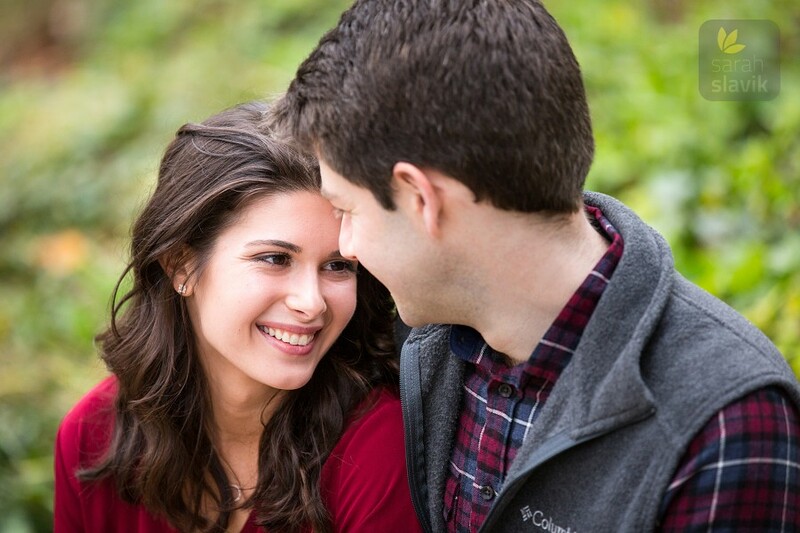 Stay tuned for Ashley and Chris’s wedding in April!